Proven homeopathic remedies use natural ingredients to treat common maladies. Homeopathic remedies help the body to heal itself instead of using manmade pharmaceuticals to mask problems. 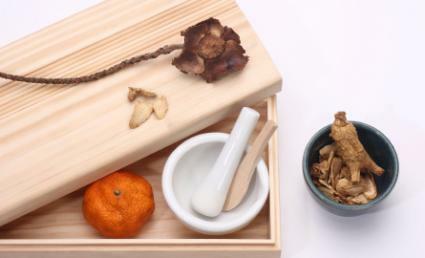 Read on to lean how to treat your illnesses through the healing power of herbs. There are many proven homeopathic remedies that have been used through the centuries. The following are some of the more than 200 remedies currently in use. Antimonium Tartaricum - (Tartar Emetic) used to treat respiratory problems such as emphysema, bronchitis, skin eruptions, warts, edema, Whooping Cough, Chicken Pox, nausea, vomiting and headaches. Artemisia Vulgaris - (Mugwort) is used to treat epileptic seizures (petit mal), convulsions, spasms and twitching. Aurum Metallicum - (Gold) can be used to treat rheumatism, hepatitis, pain in bones and joints. Baptisia - (Wild Indigo) will treat influenza, typhoid fever, gastritis and depression. Belladonna - (Deadly Nightshade) is used for treating pneumonia, hacking coughs, glands, throat, pleurisy, heatstroke, menstrual cramps, pinkeye and toothaches. Borax - (Sodium Borate) treats inflammation of mucus membranes, thrush, gastritis, epilepsy and anxiety. Cantharis - (Spanish Fly) used for pleuritis, pericarditis, meningitis, nephritis, dysentery; eczema, dermatitis, pleurisy, scalds, burns, inflammation of lungs and urinary tract infections. Carbo Vegetabilis - (Charcoal from Vegetable) used to treat indigestion, gas, heartburn, hemorrhoids, tinnitus, ulcers, coughs, spasmodic coughs and leucorrhea. Chamomilla - (Chamomile) antidote for too much caffeine, earaches, anger, teething and colic in infants, pregnancy, labor and diarrhea. Cinnamonum - (Cinnamon) used as a treatment for cancer, hemorrhages, nosebleeds, flatulency, diarrhea and poor circulation. Colocynthis - (Bitter Cucumber) used in the treatment of abdominal pain, menstrual cramps, back pain, joint pain, emotional problems, colic, facial neuralgia and twitching and sciatica. Euphrasia - (Eyebright) treats colds, influenza, pinkeye, amenorrhea, dysentery and prostatitis. Ferrum Metallicum - (Iron) used for lumbago, headaches, nausea, vomiting, irritablility, dyspepsia and flatulence. Gelsemium - (Yellow Jasmine) treats influenza, headaches, insomnia, stage fright, paralysis of muscles, bronchitis, dry cough, tonsillitis, double vision, blurred vision, dysmenorrhea, glaucoma, trembling and weakness of limbs and back pain. Graphites - (Graphite) psoriasis, diaper rash, eczema, acne, ulcers, herpetic skin eruptions, nausea, vomiting and gastritis. Hamamelis Virginia - (Witch Hazel) for hemorrhoids, purpura, varicose veins, phlebitis, skin ulcers, hemorrhages and dysentery. Hypericum - (St. John's Wort) used to treat wounds, bruises; puncture wounds, for prevention of tetanus, hemorrhoids herpes zoster, neuralgia. Kreosotum - (Beechwood Kreosote) helps treat nausea, vomiting, morning sickness, diarrhea, cholera, vaginitis and tooth decay. Ledum - (Marsh Tea) used to treat bruises, insect bites, wounds, sprains and gout. Nux Vomica - (Poison Nut) used for convulsions, gastroenteritis, gas, indigestion, heartburn, constipation, acne, hemorrhoids, coughs, menstrual cramps, asthma, headaches, hangover, antidote to caffeine, alcohol, drugs and hysteria. Petroleum - (Rock Oil) treats eczema, psoriasis, herpes, prostatitis, motion sickness, nausea and vomiting. Pulsatilla - (Pasqueflower) used for loss of hearing, smell and taste, measles, varicose veins, menstrual cramps, vaginitis, pregnancy complaints, morning sickness, hay fever and gonorrhea. Rhus Toxicodendron - (Poison Ivy) treats influenza, chicken pox, rashes, herpes, cellulites, swollen glands, sprains, strains, sciatica, back pain, dislocations, torticollis, wry neck, sore throat, herpetic eruptions, hives, diaper rash, itching, iritis, vertigo, rheumatism, diarrhea and dysentery. Ruta Graveolens - (Rue) used for back pain, lumbago, sciatica, bruises, sprains, strains, tennis elbow, tendon problems, joints, and bones and eye problems. Silicea - (Silica) used for abscesses, boils, stys, cataracts, iritis, gas, colic, bone problems, hemorrhoids, lumps in breast and keloid growths. Symphytum - (Comfrey) treats bone fractures, tendons, periosteum, perineum, joints, black eyes and bruises. Tabacum - (Tobacco) used to treat nausea, vomiting, cholera, seasickness, diarrhea, vertigo and headaches. People who are new to homeopathy should follow the directions carefully provided by a herbalist, homeopath or naturopath. Taking the wrong dosage could result in serious illness. In addition, consult with your physician or pharmacist before taking a homeopathic remedy while you are taking prescription medications in order to avoid bad drug interactions.